Decorating the guest room in the right way is important because everyone enjoys making their guests feel comfortable and feel wonderful during their stay. Not only basics but also sparing but exquisite decoration will create the cosiness in the room allotted for guests. In addition to the spare set of keys, a couple of magazines, and perhaps a map of the area, people who are going to welcome guests in their homes should give sufficient attention to the decoration of the room for their guests in the right way. Because in the ideal case the rooms that are designed to meet guests of the home are provided with bathrooms attached to them, for the greatest comfort of people staying in them, the decoration of the bathroom can continue the theme of the room for the guests. On the other hand, people should remember that space is also important for the comfort of their guests. That is why, when the decoration is planned, there should not be too many things envisaged to be accommodated there. Cluttering the room for the guests is not a good idea. Sparing but stylish and exquisite decoration is the best. 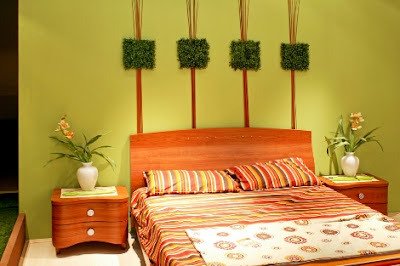 The decoration of the room which is going to welcome guests can start with the outfitting of the bed. There should be plenty of pillows, as well as cushions, so that guests staying in the room can make themselves comfortable with their aid. The bedsheets, starched and ironed, crisp white, are appealing and add to the style of the room. A throw added for comfort during brief naps is another element which can add colour and charm, besides serving its primary purpose. The wardrobe provided should fit the size of the room, and it can be chosen in a colour which matches the throw, the pillows, and of course the carpet. A bedside table with a full length mirror is also essential. It should be located close to the wardrobe, to enable guests to quickly try on and match clothes. The wardrobe and the bedside table should be made of the same type and colour of wood, to form an ensemble. Nowadays there are lots of models of furniture items in different colours, wardrobes and bedside tables included. The decoration of the bedroom can have its colourful accents, not only pillows and throws, but also small area rugs if appropriate, or a vase or two, or flowerpots. Space permitting, there can be a cosy corner equipped with armchairs or a settee, together with a coffee table – a nook where the guests can discuss something, while away some time reading, or have coffee in the morning. Nowadays for most people it is indispensable to have a small desk where they can fill some documents or open their laptops. A nook of the guest room should be outfitted with such a desk, in cutting edge style, and it should chime with the style and gamut of the other elements. A nicely decorated and outfitted room, conforming to a common theme, is easy to accomplish with a bit of planning and with taste and dedication. Author Bio: Angela Harpert is a devoted blogger and a devoted housewife who is always ready to share useful household tips for NW5Removals.